From acute care to community pharmacy settings, we prepare students to join one of the most dynamic and important professions within health care. Pharmacy remains one of the most dynamic and important professions within health care, and the role of the pharmacist has grown as the health care system has evolved. Today, teams of professional caregivers work together to create better patient outcomes. The pharmacist plays a critical role in the health care team, and skilled, compassionate pharmacists remain in high demand. If pharmacy is your calling, we have everything you need to prepare yourself to answer that call. We provide a practical and innovative education that will serve you in a wide variety of settings, from an acute care hospital to a community pharmacy. You will be prepared for practice in emerging health care environments, including medical homes, accountable care organizations and primary care. Our graduates have even gone on to long and successful careers in management at some of the world's leading pharmaceutical companies. Wherever you feel called, a degree from McWhorter School of Pharmacy prepares you to thrive. We believe in practical, hands-on education, meaning your first three years will combine classroom instruction with direct patient interaction. You will learn by doing and the experience you gain is far more meaningful. The Introductory Pharmacy Practice Experiences (IPPE) occur almost every semester during these years and are planned to augment what you learn in the classroom, as well as offer opportunities to put your knowledge to practical use helping patients. 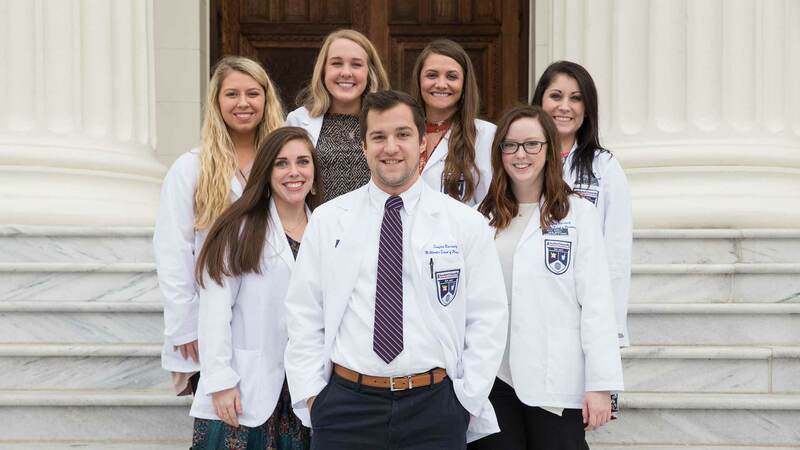 Your fourth year includes Advanced Pharmacy Practice Experience (APPE), in addition to a culminating Capstone project that provides a variety of environments to synthesize and apply all that you've learned. Our program is structured around an integrated curriculum to give greater context to everything you learn. Course content is integrated across courses in a given semester, but also between years in the curriculum. Integrating the content of your courses makes learning more interesting and more relevant. In addition, our program cultivates caring and respectful student-faculty relationships. Our focus on these relationships allows for open academic conversation, one-on-one advice and evaluation. Our faculty are called to teach. They are called to prepare the next generation of pharmacists and send them into the professional world with a strong academic background and the skills to succeed.